Manipur govt. has launched School Fagat Hansi mission as an initiative under the government’s popular “Go to Village” mission. This mission was launched at a function organized at Yumnam Huidrom Govt. High School in Imphal West District on 19 January 2019. Manipur School Fagat-Hansi Scheme is launched with an objective to give renewed thrust towards improvement of govt. schools in terms of physical and manpower infrastructure. Now all the state govt. run schools in 60 assembly constituencies of Manipur are going to be developed as model schools in 1st phase under School Fagat-Hansi Mission. The state govt. would run and develop all these schools in a uniform pattern. Previously, the “Go to Hill” and “Go to Village” mission were successful in connecting people with the government. Now the govt. intends to put special focus on development of govt. schools in Manipur through School Fagat-Hansi Mission as economic condition of general public is not improving. Chief Minister N Biren Singh expressed hope that new mission is going to garner trust of people towards govt. schools. Now all the model schools will comprise of classes from pre-nursery to class 10th. Moreover, no govt. teachers would be transferred from these model schools for at-least 3 years to maintain stability in teaching manpower. 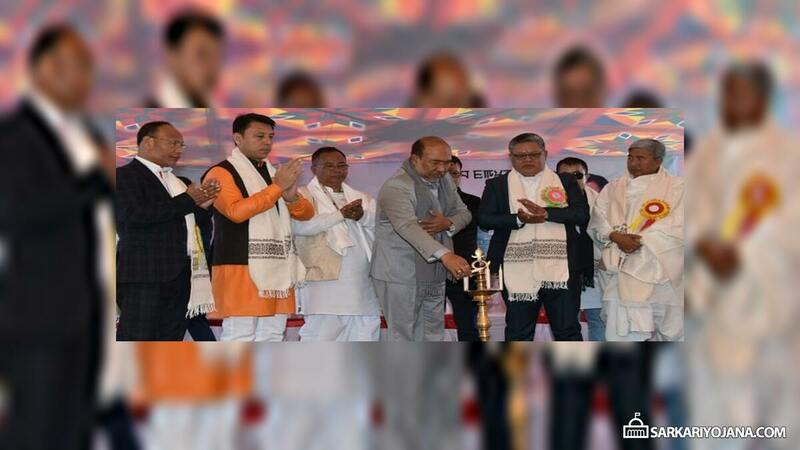 Manipur CM urges involvement and cooperation of local people, educationists, local club members and Meira Paibee leaders in the scheme to make it a huge success. In addition to existing school mgmt. committees, selected schools are going to be managed by the re-defined managing committees which would be headed by circle MLAs concerned. In the previous year, Manipur govt. had announced incentive awards for meritorious students of govt. schools. These awards would be given to students who have secured positions in class 10th and 12th examinations conducted by Board of Secondary Education Manipur (BOSEM) and Council of Higher Secondary Education Manipur (COHSEM). Accordingly, Rs. 50 lakhs had been sanctioned by the State Planning dept. for early distribution of cash prizes to students. CM said that in addition to provide free education under Right to Education (RTE), the state govt. had recently launched Lairik Tamhansi which signifies no children to be left behind. In this scheme, all the school dropouts are readmitted in government schools.